These ten movies are a great way to learn about how South Korea became the democracy it is today. South Korea might be a democracy today, but that wasn’t always the case. While you can certainly read textbooks about this, it might be more entertaining to learn by watching movies. Fortunately, South Korea’s film industry has made quite a few movies about the nation’s struggle for democracy. 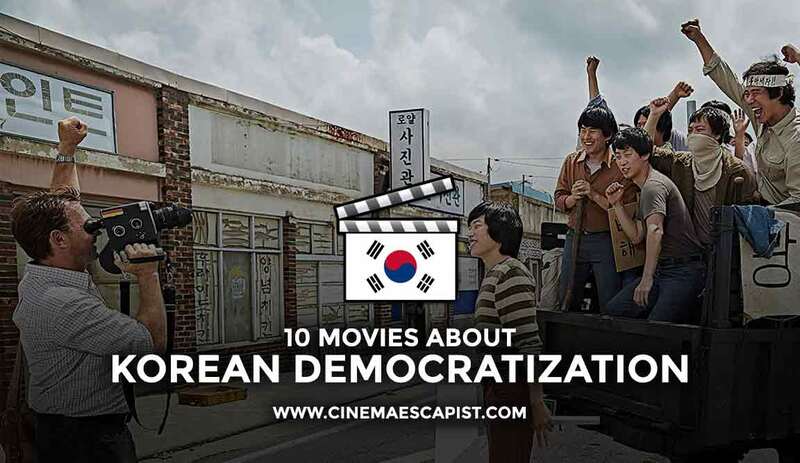 We here at Cinema Escapist have highlighted ten of these movies about South Korea’s democratization. If you’re interested in learning more about Korean history through a more engaging and visual medium, these movies are a great place to start. Before we dive in, here’s some context. Between 1948 and 1987, the Republic of Korea (South Korea’s formal name) saw a succession of authoritarian leaders. First came Syngman Rhee, a staunch anti-communist who led South Korea through the Korean War but resigned in 1960 after intense public outcry against a rigged election. Next came Park Chung-hee, who launched a military coup on May 16, 1961 against the nominally democratic government that briefly came in Rhee’s wake. Park ruled until his assassination in 1979, leaving a polarized legacy: while he arguably launched South Korea’s “economic miracle”, he also trampled on civil liberties. After a period of uncertainty following Park’s assassination, Chun Doo-hwan took power in another military coup on December 12, 1979. Korea’s transition to democracy started under Chun’s rule. May 1980 saw the Gwangju Uprising — a popular rebellion in the city of Gwangju that South Korea’s military suppressed, killing hundreds of civilians in the process. The event remains one of the most historically traumatic (and cinematically revisited) events in recent Korean history. Popular discontent with military rule grew until it came to a head during June 1987, when mass protests (now called the June Struggle) brought about direct Presidential elections and freedom for prominent dissidents. This paved the way for South Korea’s slow maturation into a full-fledged democracy over the next decade, whereby former democracy activists Kim Young-sam, Kim Dae-jung, and Roh Moo-hyun (all of whom were jailed under either Chun or Park) successively won Presidential elections. While some films address the Park Chung-hee regime (The President’s Last Bang, The President’s Barber), most movies about Korean democratization focus on the period between 1980-1987 — arguably when popular movements for democracy enjoyed peak momentum. A good number of these films highlight the Gwangju Uprising and its aftermath, while others focus on notable individuals or inflection points on the road of democratization. As South Korea enters its third decade of democratic rule, it’s heartening to see the preponderance of cinematic narratives that document the nation’s journey away from authoritarianism. Such movies help keep recent history alive in South Korea’s public consciousness, both driving and reflecting the nation’s attempts to grapple with its past. For many in the English-speaking world, these movies also provide an accessible way to learn about a country that’s frequently in the headlines. Consequently, in this article, we’ll discuss not only the films themselves, but also their social and political significance. Without further ado: let’s kick off our learning with ten movies about South Korean democratization. We start with A Petal — perhaps the first feature film to depict the Gwangju Uprising. 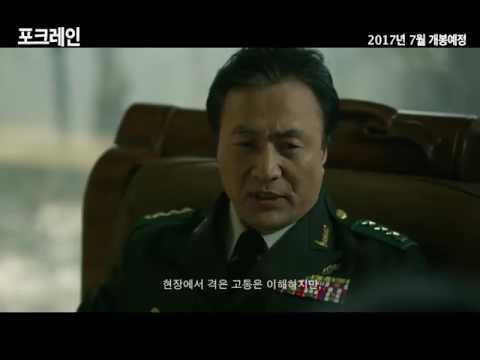 The film’s director Jang Sun-woo was jailed under Chun Doo-hwan’s regime, and used A Petal to express raw social commentary on the brutality of authoritarian rule. The film focuses on an unnamed girl who sees her mother killed during the Gwangju Uprising, and struggles with the trauma of the event for years afterwards. Needless to say, there’s a lot of violence and brutality in A Petal; combined with intentionally nightmare-esque cinematography (including documentary footage of the uprising), the movie’s not easy to watch. A Petal‘s unfiltered approach shocked South Korea upon its release; no other mass media had depicted the Gwangju Uprising with such authenticity and ferocity before. The film went on to win a Blue Dragon Award (the Korean equivalent of an Oscar) and remains a powerful allegory for the trauma of South Korea’s recent past. Veteran actor Song Kang-ho stars as a lawyer, loosely modeled off former South Korean President Roh Moo-hyun, in The Attorney. The film draws inspiration from the real-life 1981 Burim Case in which Chun Doo-hwan’s government arrested a group of students and workers on made-up charges that they were North Korean sympathizers. When The Attorney came out, it sparked vigorous debate between South Korean conservatives and liberals, hinting at how the trauma of authoritarianism hasn’t fully subsided in Korean society. President Roh left office only five years before the film’s release, his tenure marked by virulent conservative opposition despite his past credentials as a democracy advocate. Regardless, The Attorney is one of the most important movies about Korea’s democratization. Upon its release, it became a blockbuster hit as the 8th highest-grossing Korean movie of all time. The film also had a very tangible real-world impact: after The Attorney generated renewed publicity about the incident, South Korean courts overturned the convictions of those involved in the original Burim Case. Based on a 1990 novel by famed South Korean writer and dissident Hwang Sok-yong, The Old Garden offers an artistic and romantic (but still intense) mediation on the lasting traumas of Korean democratization. Directed by Im Sang-goo (who also made The President’s Last Bang), The Old Garden centers around a love story that starts in 1980. In the Gwangju Uprising’s aftermath, a dissident hides out in the countryside under a young woman’s care; the two fall in love. However, the dissident decides to return to a certain arrest in Seoul. After his release 17 years later, he has to contend with the legacy of his past actions. Like many of the other films on this list, The Old Garden addresses the topic of historical trauma — albeit in a more indirect manner. If you’re naturally a romance film fan and want a lighter way to learn about Korea’s democratization, you should consider The Old Garden. Known for his outspoken social views, director Chung Ji-young had a very political objective with National Security: to influence South Korea’s 2012 Presidential Election, ostensibly in favor of liberals. Unfortunately, Chung didn’t succeed on that front: conservative candidate Park Geun-hye (Park Chung-hee’s daughter) won 2012’s election. Nevertheless, National Security offers one of the most jarring depictions of South Korea’s struggle for democracy. In short: the film shows torture — lots of it. What’s more is how the film draws from the real life of Kim Geun-tae, a democracy activist who later became South Korea’s Minister of Health and Welfare. In 1985, Kim was kidnapped by security forces and brutally tortured for 22 days. He remembered the his torturer’s identity and continued advocating for civil liberties afterwards, obtaining the Robert F. Kennedy Human Rights Award in 1987 alongside his wife. Needless to say, National Security isn’t for the faint of heart. When it screened at 2012’s Busan International Film Festival, some audience members walked out of the theater in tears. Despite its innocuous title, Peppermint Candy offers another weighty exploration of South Korea’s recent history. 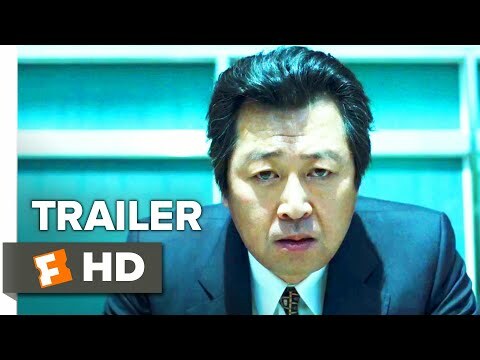 The film starts with its protagonist Kim Yong-ho’s suicide, and then goes backwards in time to explore the traumas that lead to his fatal action. What makes Peppermint Candy unique is how its protagonist comes from the other side of democratization: he’s a suppressor, not an activist. Kim Yong-ho takes part in the Gwangju Uprising — as a soldier. He’s also at democracy protests in 1987 — as a policeman. Through these events, Kim gradually loses his innocence and sanity; he becomes both victim and perpetrator. Ultimately, Peppermint Candy shows the nuances that come with national reconciliation and historical trauma. Yes, there are dissidents who fought for democracy: but what about the policemen and soldiers? To what extent were they willing perpetrators, or victims of an exploitative system? This question has no easy answers but great socio-political importance. Adapted from a popular webcomic by artist Kang Full, 26 Years presents a unique vision of “coming to terms with the past”. In the film’s fictional story, a group of five ordinary citizens band together to assassinate an unnamed man responsible for suppressing the Gwangju Uprising (heavily implied as Chun Doo-hwan). The film languished for four years in pre-production, as many investors thought it was “too political”. However, a crowdfunding campaign got 26 Years off the ground. The film released just weeks before Korea’s 2012 presidential election, topping the box office in its first week. If you like Korean revenge narratives (ex. Oldboy), you might enjoy 26 Years — it provides a simultaneously educational and entertaining take on the genre. As its name suggests, May 18 focuses entirely on the Gwangju Uprising. The film centers around two brothers who caught up in the uprising’s events, and includes many scenes where soldiers suppress civilians. May 18 came at an interesting time in Korean society. When it hit theaters in July 2007, South Korea’s liberals were at a low point; several months later conservative candidate Lee Myung-bak would win that year’s presidential election. May 18 therefore felt like an attempt to keep the memory of the Gwangju Uprising alive, as a check against conservative rule. Despite this, the film is less overtly political than you’d expect. It never mentions Chun Doo-hwan by name, and some Koreans criticized how it sacrificed factual accuracy for dramatization. Produced by renowned (and recently infamous) auteur Kim Ki-duk, Fork Lane is another movie that explores the Gwangju Uprising from the perspective of a perpetrator. The film’s protagonist is Kim Gang-il, a construction equipment operator. In 1980, Kim served as a paratrooper in the Korean military, and was deployed to help suppress the Gwangju Uprising. In Fork Lane, he must contend with the ghosts of this historical past. While Fork Lane addresses important topics, recent sexual assault allegations against Kim Ki-duk seem to have blunted its potential for impact. After a brief summer 2017 release, there’s no word on other distribution possibilities. One of the best Korean movies of 2017, A Taxi Driver tells a poignant story of friendship and perseverance set amidst the Gwangju Uprising. The movie is based on the real story of a taxi driver who ferried German reporter Jurgen Hinzpeter to Gwangju in spite of a military blockade. Hinzpeter obtained footage of the protests (and suppressions thereof) in Gwangju, allowing the rest of the world to learn what was happening there. A Taxi Driver enjoyed both critical and box office select, becoming Korea’s second-highest grossing film of 2017. It not only re-ignited interest in the Gwangju Uprising, but also helped surface the real-life taxi driver’s identity (which previously nobody knew). Last but not least, there’s 1987: When the Day Comes — a recent release which centers around the events that led to 1987’s June Struggle. In January 1987, a student activist named Park Jong-chul was tortured to death while in police detention. At first, the authorities said he died of shock. However, as reporters started asking more questions and an attending physician revealed Park’s torture, public outrage snowballed into the June Struggle protests. In the face of mass public opposition and international pressure amidst the upcoming 1988 Seoul Olympics, President Chun Doo-hwan stepped down in favor of his chosen successor Roh Tae-woo. Roh eventually announced the June 29 Declaration, acceding to pro-democracy protestors’ demands and putting South Korea on the path to democracy. 1987: When the Day Comes dramatizes Park Jong-chul’s story, tracing how it sparked one of the most important moments in South Korea’s history. Generally interested in Korean movies? Check out our list of the Best Korean Movies of 2017. Want to learn about North Korea? Look at our list of the Top 10 Documentaries About North Korea. Why Don’t Korean Dramas and Movies Like Americans?